While most people prefer to pair their chicken teriyaki stir fry with rice, Ms Jae Reez, 31, prefers to enjoy hers with sweet cupcakes that she had just baked for sale. As she enjoyed her unusual meals, almost always a combination of sweet and savoury elements, inspiration struck. Bored of the saturated cupcake market in Singapore, Ms Jae decided to jump off that bandwagon and onto a new one selling savoury cupcakes, a cupcake trend that has been slow to take off here in Singapore. “I started off by baking macarons and sweet cupcakes like salted caramel cupcakes and red velvet cupcakes but I realised that everyone was making them and I wanted to be different,” she said. In September this year, she decided to create an Instagram account for herself (@gingerlynice) and began selling her unusual creations such as Double Ws, a white chocolate wasabe cupcake with chicken teriyaki filling and a wasabe frosting topped with seaweed, and Krabi Love, a coconut cupcake with seafood tom yum filling and a lemon cheese frosting. However, Ms Jae shared that before venturing into the savoury cupcake market, she did have her reservations. “Our locals are not very adventurous and they don’t like trying things they don’t know much about,” she said, adding that she did worry about the savoury cupcake uptake. Despite being aware of the challenge of selling savoury cupcakes to a more traditional market, Ms Jae decided to stick to her vision because the entire process of creating a savoury cupcake was one that she enjoyed. “Creating a savoury cupcake is very different from creating a sweet one. It takes me about five to six trials before I am finally satisfied with the final product,” she said. She added that it is this process of experimentation and trial and error and makes creating a savoury cupcake all the more fun. It is a laborious process that begins with thinking up a filling, then creating different cupcake bases and finally whipping together frostings to try and create the perfect union. Ms Jae does not stop there. She then lets family members and friends taste the cupcakes to get their opinions. “Different people have different opinions and preferences for cupcakes so I always ask family, friends and customers to give me their honest opinions so that I can improve on the cupcakes. Some people prefer it to be dense and some prefer it to be light so it is really subjective,” she said. She also added that she is considering including a feedback form with her orders so that customers know she is serious about wanting to provide them with only the best. 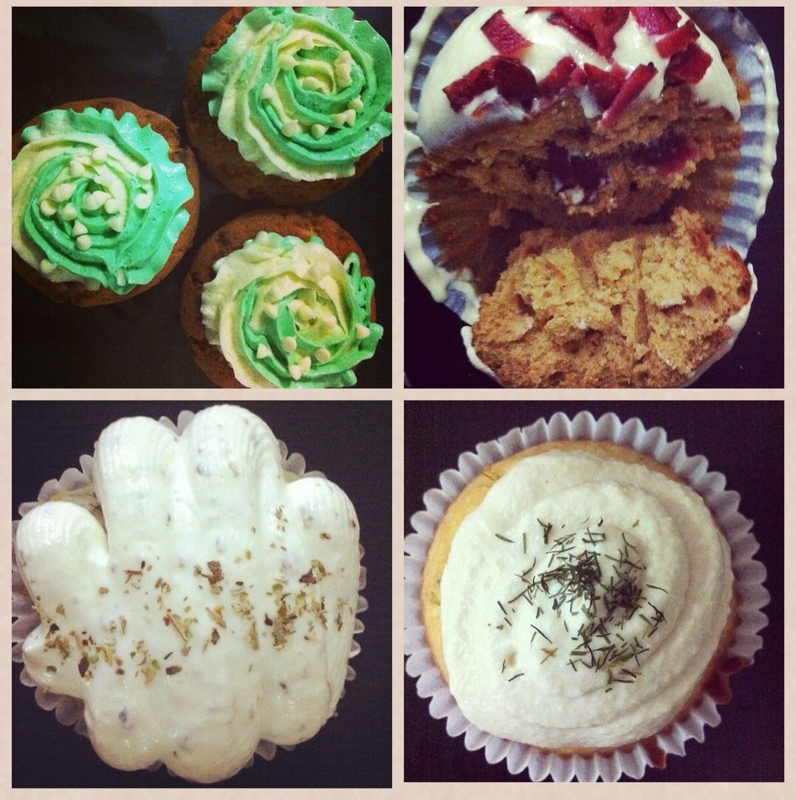 Ms Jae currently sells six types of savoury cupcakes that have gone through the rigorous taste test process. Her cupcakes cost $3.50 a piece and can be purchased in boxes of 6 or 12. Customers can choOse to mix up to three different flavours in a box. Though savoury cupcakes may not go with everyone’s cup of tea, Ms Jae shared that she is still optimistic about the future of savoury cupcakes. “With time, I am hoping that more people will be open to different tastes and accept the savoury cupcake,” she said. Gingerlynice is offering a special price for The Alternative Food Blog readers. QUOTE TheAlternativeFoodBlog in your order and pay only $38 for a box of 12 cupcakes. Offer valid till 23/11/2013.